Hospitalists are physicians responsible for managing patient care and treatment on a daily basis from the time a patient is admitted to the hospital until they are discharged. Hospitalist physicians are physicians that are specially trained to meet your needs in the hospital. They spend their day in the hospital so any urgent needs can be addressed in a timely fashion. They devote their practice to caring for the hospitalized patient. Therefore, they are very up to date with practice guidelines and the latest information in treating acute care needs. They do not see patients in a clinic. The hospitalist service helps patients have consistent care at the office and the hospital. They are all board certified and board eligible physicians with a combined 35 years in practice. 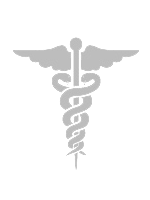 Their experience represents a variety of medical disciplines, most commonly Internal Medicine. They work as a team, so you may see more than one during your hospital stay. They will be happy to answer your questions regarding your plan of care. If your physician admits you to the hospital, the office will contact the hospitalist and refer you for care. You will be admitted to the hospital by one of our hospitalist physicians. Shortly after you are admitted, the hospitalist will assess your condition based on information provided by your physician and a physical examination. The hospitalist will manage and direct your care while you are a hospital patient. They will order tests, medications and treatments based on your healthcare needs. Yes. The hospitalist communicates with your physician on a regular basis in several ways: electronically, by phone, and person to person. A copy of your discharge summary and follow up plans are available for his or her review within 24 hours of your discharge. The hospitalist will see you daily and be in charge of your care while you are a hospital patient. They will attend to any special needs or emergencies that may arise. They may consult other specialists to ensure that you receive the most appropriate care for your illness. If you are having surgery, your surgeon may request the hospitalist manage your medical needs while in the hospital. The hospitalist will prescribe medications at discharge, but they do not authorize refills. Refills on medications will be done by your primary care physician since he/she follows your care after you leave the hospital. In the past you may have been used to seeing your physician or his/her partner very early in the morning, sometimes even before you are fully awake. With the hospitalists, this may be slightly different. Since they are here all day and see many patients, they prioritize the needs and may even see some patients in the afternoon. But again, any needs may be addressed by telling your nurse, and he or she will ask the hospitalist. Many times these needs are taken care of even before you are seen by the doctor. Plans for discharge begin when you are admitted to the hospital. Each patient is assigned a case manager. Case managers offer patients and families assistance with various options and decisions that will be made for discharge. The hospitalists work closely with the team of case managers, therapists, pharmacists and community resources to ensure the most appropriate decisions are made with regard to your continued care. After discharge you will return to your primary care physician for your follow up care. While in the hospital, you may ask your nurse to contact the hospitalist 24 hours a day for any issues. After discharge you should contact your primary care physician or the physician recommended to you by the hospitalist.